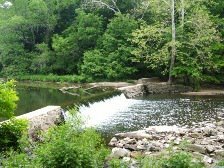 T he Pennypack Creek empties into the Delaware River a few miles north of Center City, where spacious mansions once stood, with long sloping lawns coming down to the river's edge. The area is now a prison farm, containing thirteen City institutions, of which five are major prisons. Only four prisons are actually functioning as such. Holmesburg closed a few years ago, joining the ranks of the other abandoned prisons strewn about Philadelphia, like the Walnut Street Prison, Moyamensing, Eastern Penitentiary. Inside the campus along the Pennypack are about 7100 inmates and 2100 employees. There are in fact eight other smaller facilities in various other locations in the City. 90% of the inmates are male, 80% are black, 45% of them are there for drug offenses. The average daily population is slowly growing, having been 4100 about fifteen years ago. This is a $200 million operation, not counting the police and courts necessary to keep the place full. Nor counting the pensions of retired employees; but only 13% of guards retire, the rest quit or transfer to some other occupation before retirement. This is one place where the egregious city pension system does not impose quite such a heavy invisible burden on the budget. To an outsider, the most disconcerting statistic is that 59% of the inmates are "detention", which is to say they have not been convicted. The police take a detainee before a magistrate for an arraignment, they are then sent to the Detention Center for "prosing", and after that may stay in the House of Correction for six months unless they come up for trial sooner. It seems very likely that the court system is very careful to follow designated procedures, and the vast majority of these detentions are surely guilty of something unpleasant. Still, it does not sound quite right to hear that thousands of people are forced to spend six months eating that awful food, without the formality of a conviction. Perhaps an arraignment is adequate, but the distinction is beyond ordinary citizens to understand, and would sound better if modified. The other feature that makes us pointy-headed meddlers uneasy is the large proportion of prisoners for drug crimes. A few years ago a federal law was passed, called "The Speedy Trials for Drug Offenders Law", which mandated that drug crimes would be processed ahead of all others on the docket. Whether this law has made the unconvicted inmate population larger or smaller is unclear, but it reawakens the proposal to decriminalize drug abuse. Now, there's a polarizing proposal if there ever was one. If we ever emulated the Netherlands in legalizing drugs, we could set three or four thousand Philadelphians free immediately, and probably save the taxpayers a hundred million dollars a year in prison costs, since prison costs about $30,000 a year per inmate. On the other hand, recreational drug consumption would undoubtedly increase appreciably, and many more lives would be ruined. Because Quakers have a tradition of going to jail themselves rather than obey an offensive law, they have long had an interest in prison affairs, and more sympathy than average for the plight of the inmates. The people in charge of running the prisons have mixed feelings about that, too. It's useful when the prison budget is under attack to have respected citizens in the community support the otherwise rather shame-faced prison administration, but it's uncomfortable to have impartial eyes trying to look into activities that don't always stand public exposure. Occasionally, the seamy side does come out into the open. One prison facility is named after a warden and a deputy warden who was assassinated in a prison riot on May 31, 1973. 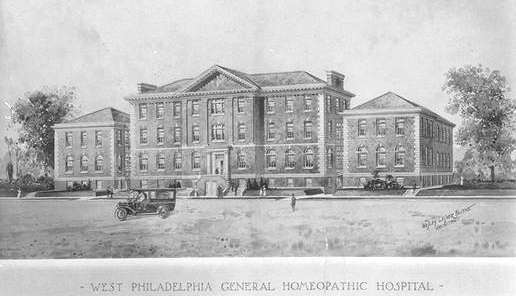 At that time, Philadelphia General Hospital maintained a high-security prison hospital area, as well as an award for Police and Firemen. Some doctors and nurses remember the victims of this riot being brought in with their injuries. One guard came in with his hand cut off.